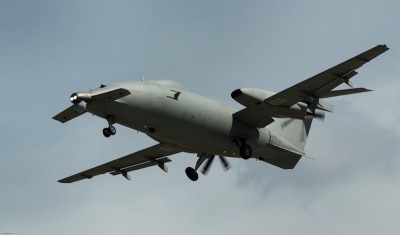 VILLANOVA D’ALBENGA, Italy --- Piaggio Aerospace today announced the successful accomplishment of the first flight test program, with its remotely piloted P.1HH HammerHead aircraft, aimed at experimenting the satellite control of a MALE (Medium Altitude Long Endurance) system, designed for long endurance flights at medium altitudes. 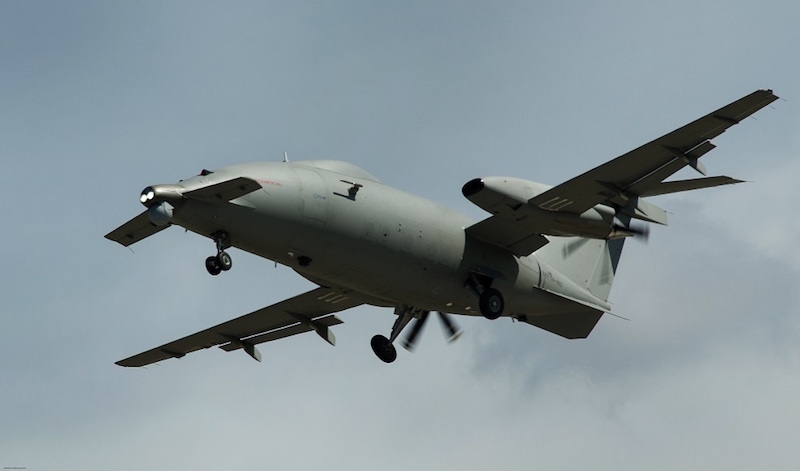 The experimental campaign was carried out at Birgi Airport in Trapani by a team of experts by Piaggio Aerospace and Telespazio, who verified on the ground the efficiency of the satellite technology in several areas of application. Tests were performed by using the satellite Athena-Fidus, which is managed by the Fucino Space Centre of Telespazio. The satellite allowed both to communicate to the P.1HH the necessary information for the command and control of the aircraft, and also to transmit from the aircraft to the ground the on-board sensors’ data acquired during the flight, fully simulating surveillance missions in the BRLOS mode. Click here for the related press release by Leonardo.